new guest mix for SXDNS, it’s dark and long! new remix for tici taci & the long champs! whatever happened to baby june? Thrilled that my remake of an old underground house classic has seen the light of day! Read all about it here and help yourself to a download for FREE (you can pay a nominal fee if you so wish, no pressure)! Big thanks to Al MacKenzie for letting me loose on the original, my good man Davos for re-creating the piano, Grant Williams for sorting the release and Cotton Bud Mastering (as ever)! My first guest mix of 2019 is for the very talented Hutchinson Brothers on their ‘Feed Your Head’ radio show on Kane FM. It’s like a more polished version of Cowbell, the tunes (and audience) are very similar, but their show is much more professional! They air every 2nd Sunday from 11am to 1pm and my guest mix is on the link below…an hour of sleazy Sunday sounds ending with an exclusive version of my new remix for Go Satta! You can read my thoughts on the mix, music, how to pronounce my surname and the importance of eggs (seriously) via this link! 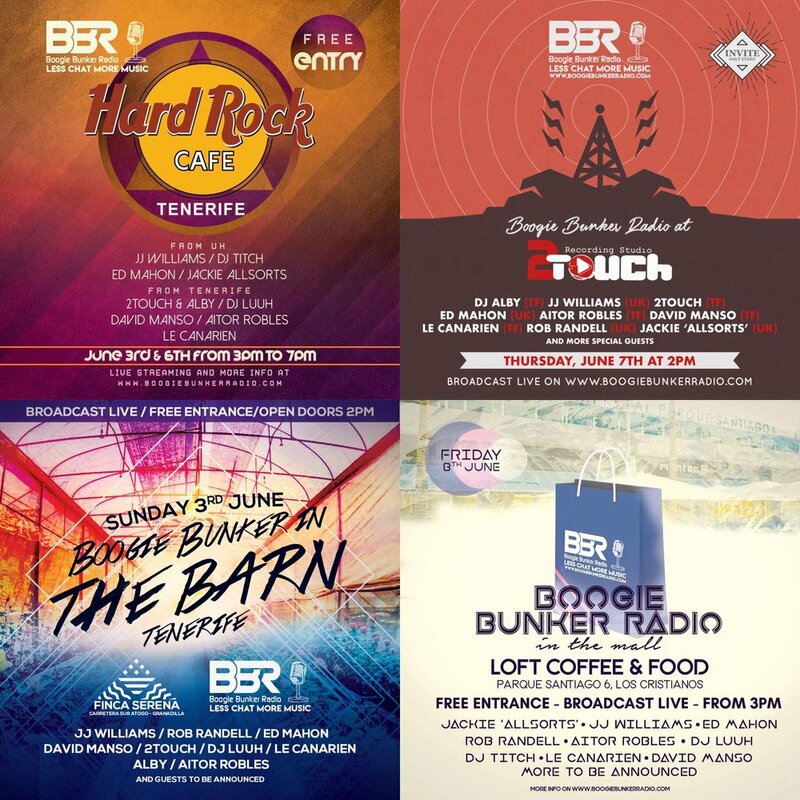 tenerife 2019 - more fun in the sun with BBR!! 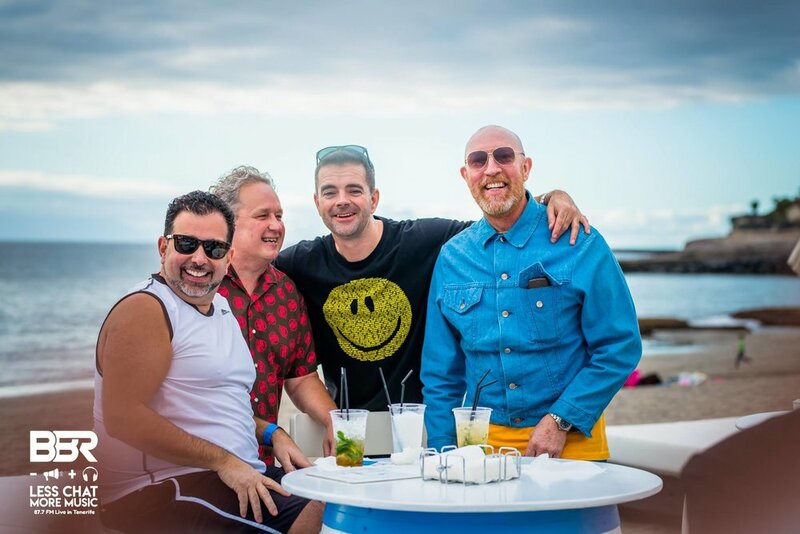 Another great week in Tenerife was a great way to start the year, great to share the decks with legends Terry Farley and Lenny Fontana as well as a host of local Canarian talent and the boys from Good 2 Groove! We had such a blast together I’ve just done a little guest mix for their music blog! Check it out here, a nice little feature and a top show, big thanks to Scott and Wayne! Big love to JJ and all the Boogie bunker crew for making it happen, can’t wait for the next one! Well it’s been another top year, eventful, successful, challenging and very productive! Instead of the usual gushing end-of-year cheese, the geek in me has racked up some numbers instead for this year. 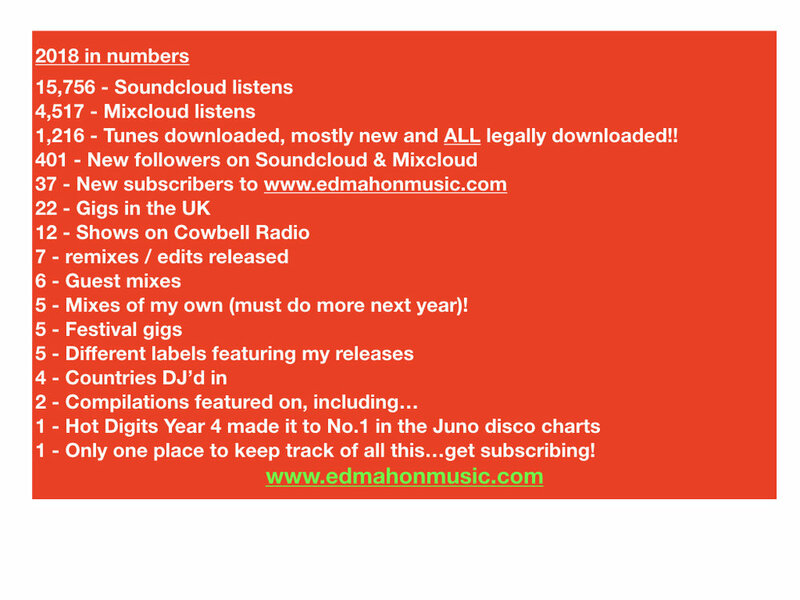 Next newsletter coming soon with a FREE DOWNLOAD of a track that’s had the most listens (and is unreleased as yet)! Make sure you subscribe using the link at the bottom of this page! Out now on ecelectics, my new remix of a very unique piece of Turkish house music! You can buy it here and check out a great write-up in the Looking for Balearic blog. A pleasure to be part of a great EP, the original and Field of Dreams remix have been getting played by ALFOS and other big hitters, plus there's a great remix from Project Spectre too! 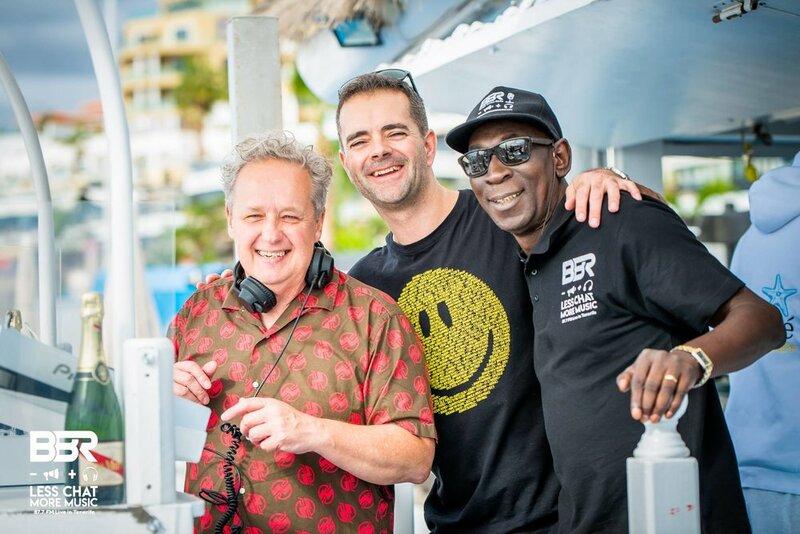 January is time for more Fun In The Sun in Tenerife with those good people at Boogie Bunker Radio! I am thrilled to see 2 house music legends Lenny Fontana & Terry Farley added to the bill, great additions to a line-up featuring some established UK DJs and also some real up and coming talent from Tenerife. 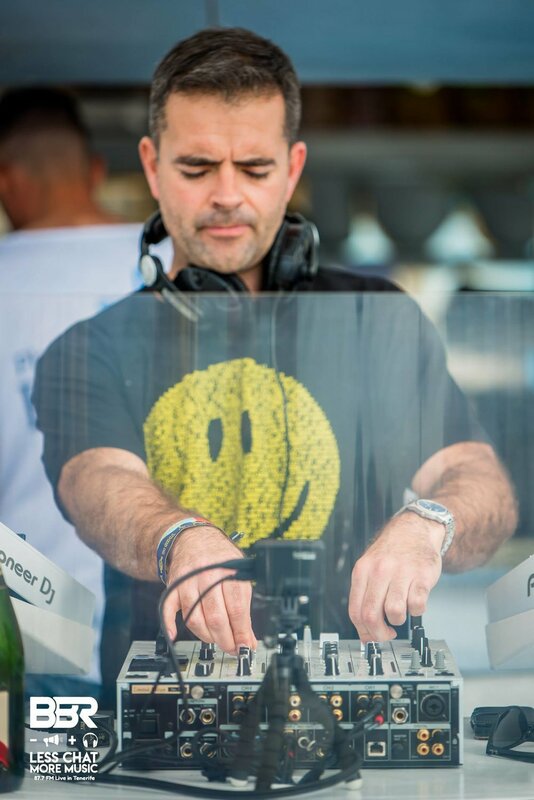 Big shout to JJ Williams who is really working hard to establish Tenerife as a credible venue for house music, I can’t wait to get back out there! A recording of our recent Alfresco Boat Party, the first 2 hours comes from me before I handed over to fellow resident Logan Fisher. Another great night on the Thames rocking to an acid house soundtrack, click on the link for the tunes and playlist! My new remix of Go Satta’s “A real boy” is out now to buy on Emerald and Doreen records. Available at all online music sites from iTunes to Traxsource, go grab a copy! This is a blissed out 9-minute remix that has been soundtracking sunsets all Summer. The track lets the amazing original strings and pads breathe, taking inspiration from Massive Attack and Pachanga Boys along the way. It’s a great EP from an amazing label, click on the link to buy and listen to the rest of the release, I hope you enjoy! Nearly 3 hours of dark, chugging acid house that has been soundtracking my Summer gigs. It was a pleasure to be asked to do this guest mix for Death by Repetition, be sure to check their awesome Soundcloud mix series here! Summer 2018, an absolute scorcher and a great summer of music (as well as footy)! 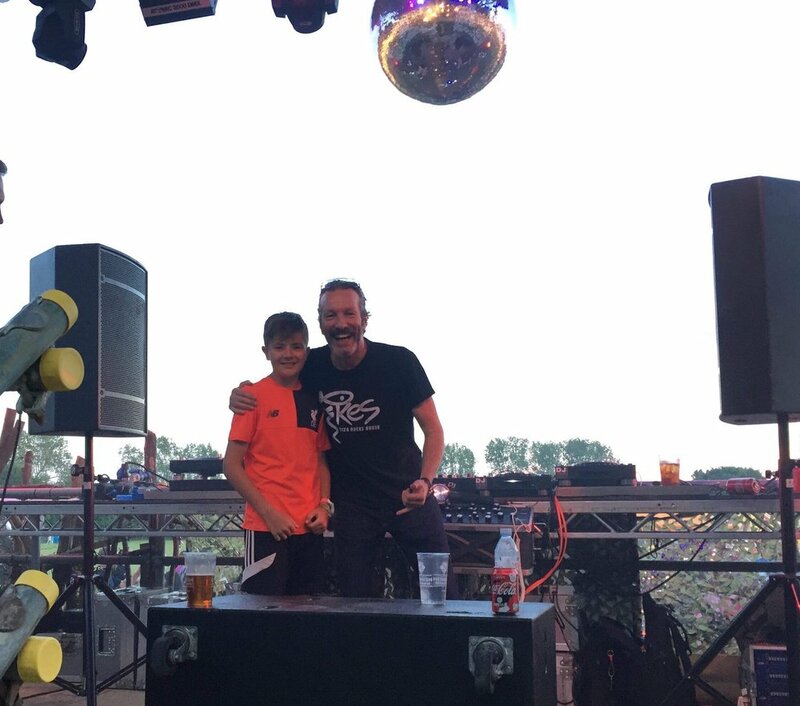 Personal DJ highlights were the festivals, including a debut at BESTIVAL as well as the regular slots at Alfresco & Beatherder and spending my birthday week in Tenerife with the Boogie Bunker Radio crew (special shouts to Pete Callard & JJ Williams for hospitality of the highest order). Production wise it was great to feature on the Hot Digits compilation which topped the Juno Disco charts and featuring on the acclaimed "Nothing is Perfect" release from Field of Dreams was an honour! Coming up between now and Xmas there are a load of local gigs (always a bonus) and another Alfresco Boat Party on the Thames, loads more Cowbell shows as well as remixes on some of my favourite labels including Emerald & Doreen, Eclectics and NEIN! Chuck in some guest mixes too and it's gonna be busy as usual!! alfresco 2019 - acts confirmed! As ever massive respect to my partner in crime Chinny and Nicky and the gang for all their efforts in throwing such an amazing party, can't wait for the next one! Massive respect to JJ and the crew for organising a great week of music at some cool venues. There are some great DJs playing cool music on the island, see the posters below for some to keep an eye on. One stand-out for me was the amazing new venue Serena Finca...think Pikes meets DC10 meets Burning Man! If you go to Tenerife, go there! Day or night, just go and eat, drink, dance and lose yourself!! We WILL be back there in January so watch this space. Sign up to our news letter with your email address to receive non fake news and tasty updates. We promise no spam, just the odd update containing exclusive links to Ed's mixes and new tunes. We respect your privacy and will never, ever share your details with anyone!